After 14 long, painful and contentious years, the last voyage of the Solway Harvester is finally coming to an end. The boat’s sinking, in storm force winds off the Isle of Man on the late afternoon of the 11 January 2000, still remains the worst maritime disaster to ever occur in Manx waters. All seven crew were lost including two brothers and two 17 year old friends. The effect of the tragedy on the small Scottish community of Whithorn was profound, but what set this incident apart was what happened next. Over the days and weeks that followed, the Isle of Man government went to extraordinary lengths to recover the boat and her crew. In the face of stiff opposition from the British government, the Manx Parliament set in motion a series of events that were to have emotive and far reaching consequences on both sides of the water. For weeks the island lay at the centre of a huge media circus, as a growing army of salvage crews, divers and support craft lay siege to the waters off the coast. Huge lifting cranes were brought in, the Royal Air Force conspired with the Manx government to help bring the families across in secret and a plan of almost military precision was undertaken to implement the job of raising the boat and recovering the crew. 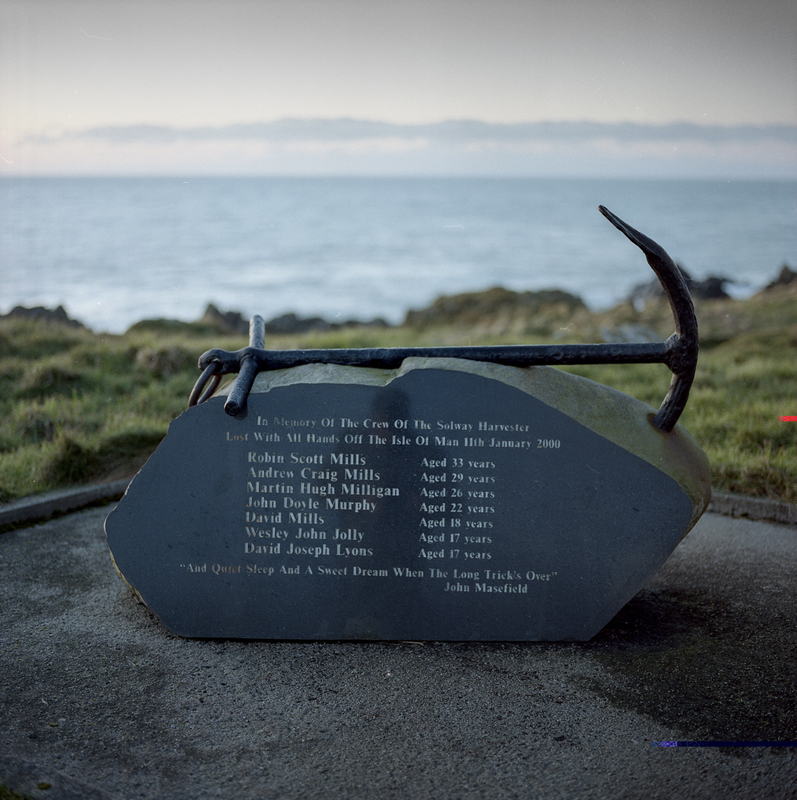 Four years ago, photographer Phil Kneen and myself set out to document in words and pictures the circumstances behind the Solway Harvester’s tragic sinking. Our intention was to pay tribute to the extraordinary efforts that had been made to return the crew to their families and to highlight the human story behind the tragedy. To that end we attempted to tell it from the perspective of those most deeply affected. To let the people who had lived through those few emotive weeks tell the story in their own words. That was how we found ourselves sat in a pub in Whithorn, on a crisp winter’s day in the late December of 2009. We had come to meet up with some of the families of the lost crew and, frankly, I think it was just sinking in what we had taken on. How do you ask someone about their dead son, or introduce yourself to a woman who was heavily pregnant when her husband drowned, and then look into the face of the nine year old boy who had never even met his father? Our first meeting was with the parents of Davy Lyons, a 17 year old lad who, at the time of his death, hadn’t even been big enough to join the army! Over the course of that weekend we were to meet up with other families with similar tragic tales to tell. Two of the boys had been just 17, inseparable friends, who had a lifetime of experiences ahead of them. Another had been 22. A combined age of 56, all gone in a matter of minutes. From the time of the last known communication from the boat, to the time that the Solway Harvester’s emergency position indicating radio beacon (EPIRB) had been activated, just 18 minutes had passed. Most of the crew hadn’t even had time to get on deck. It was in the early hours of the 10 January 2000 that the scallop dredger Solway Harvester slipped her moorings and pointed her bow south, heading towards the rich fishing grounds lying off the Isle of Man. Over the next 24 hours the weather in the Irish Sea began to deteriorate, as the water around the boat turned from a dark foreboding mass into a screaming cauldron that threatened to engulf them. With the storm growing worse, the decision was made to haul in the gear and make for the shelter of Ramsey Bay. It was the last journey they would ever make. At 17.47 on 11 January 2000, a polar orbiting satellite picked up the signal from the EPIRB, indicating that the boat had lost its battle with the growing storm and battering waves. The winds by now had increased to severe gale force 9, gusting to storm force 10, and the search for the missing boat pitted man and machine against the unrelenting fury of the Irish Sea. The conditions and the heavy rain made it increasingly difficult for the lifeboats, with visibility down to nothing and the heavy seas making life uncomfortable for the crews manning the searchlights. Over the next few hours Mother Nature’s unbridled power held sway, in spite of the best efforts of the Coastguard, the RNLI, the RAF and the Royal Navy. The boat and her seven man crew failed to materialise though and the rescue effort was finally abandoned at dusk on the evening of the 12 January, after the discovery of two unopened life-rafts had shattered any last vestiges of hope that the crew would be found alive. It took three more days to locate the Solway Harvester and a further three weeks to recover her crew. The bodies were finally brought up on the 4 February 2000 and escorted into Douglas Bay to the haunting lament of a solitary piper. 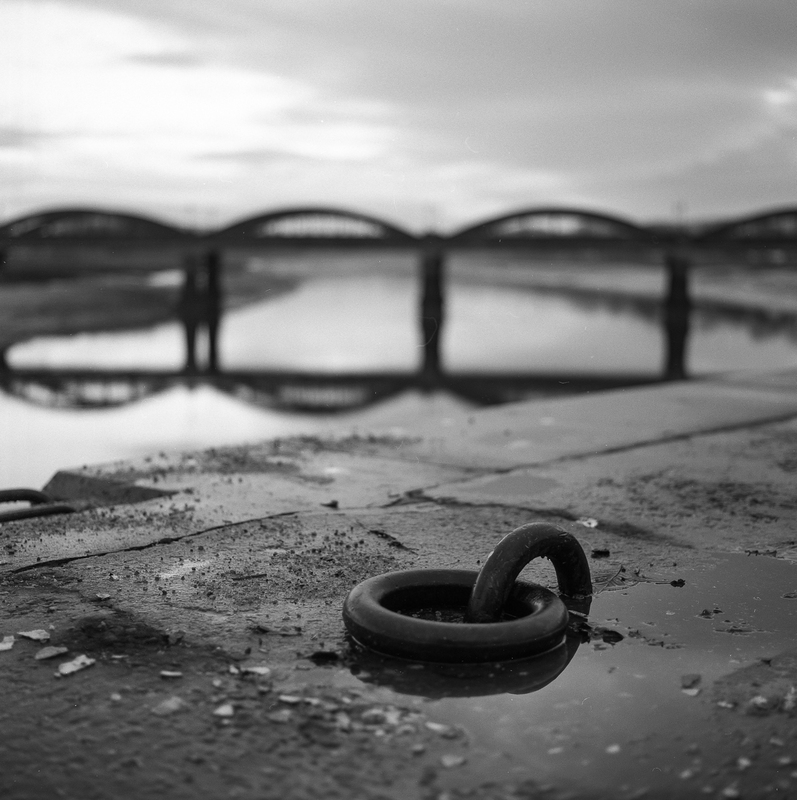 The families were waiting on the quayside that night and, as the bodies were placed on Victoria Pier, the final chords of Ellan Vannin drifted out across the harbour. It took another five months before the Solway Harvester finally made it into Ramsey. There were no pipers that day, just an eerie silence from the thousands who lined the harbour as the shattered wreck entered the bay. Over the coming days the final chapter of this tragedy will be played out, as the last remnants of the Solway Harvester’s rusting hull is cut up and scrapped. The journey has been a long and painful one, due primarily to a drawn out and bitter legal dispute. Fourteen years ago the Isle of Man went against every previous maritime precedent, overcame countless bureaucratic obstacles and even faced down the British government to raise the Solway Harvester and recover her crew. It is a decision that not everyone agreed with at the time, but for the people of Whithorn and Garlieston it meant they could bury their sons and move on. And for that they will be externally grateful.